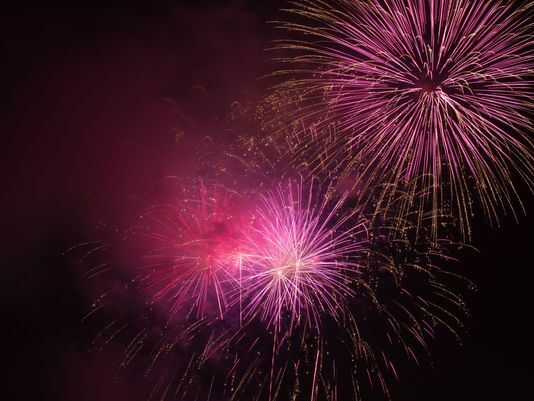 Fireworks at Walton Lake on Friday, 10 p.m.
CRESTLINE — The Walton Lake Company has announced that it will have its public fireworks display on Friday, July 6, starting at 1o p.m.
MOUNT GILEAD — Are you wondering if there should be an Article Five Convention of States? There are many pros and cons. At a July 16 meeting, there will be a movie explaining how to rein in big government. The meeting starts at 7 p.m. in Mount Gilead Library Annex, 34 E. High St. (in the rear). On July 21, at 9:30 a.m. A breakfast get-together will take place at Edison Depot Café (Dutch treat). This is a casual gathering for anyone interested in getting to know others in the community and share ideas. Also, on Aug. 6 at 7 p.m., there will be a Study Night eventat 5218 Township Road 115, Mount Gilead, studying “The Paradigm.” All activities of the Morrow County Tea Party are open to the public. CRESTLINE — Crawford County PERI Chapter 85 will meet at noon on Thursday, July 12, at Trinity Lutheran Church, 410 N. Thoman St., Crestline. Meal reservations need to be in by July 8t by calling 419-562-8254 or 419-562-7419.